Very excited to bring you my latest interview, with actor Mark Acheson. 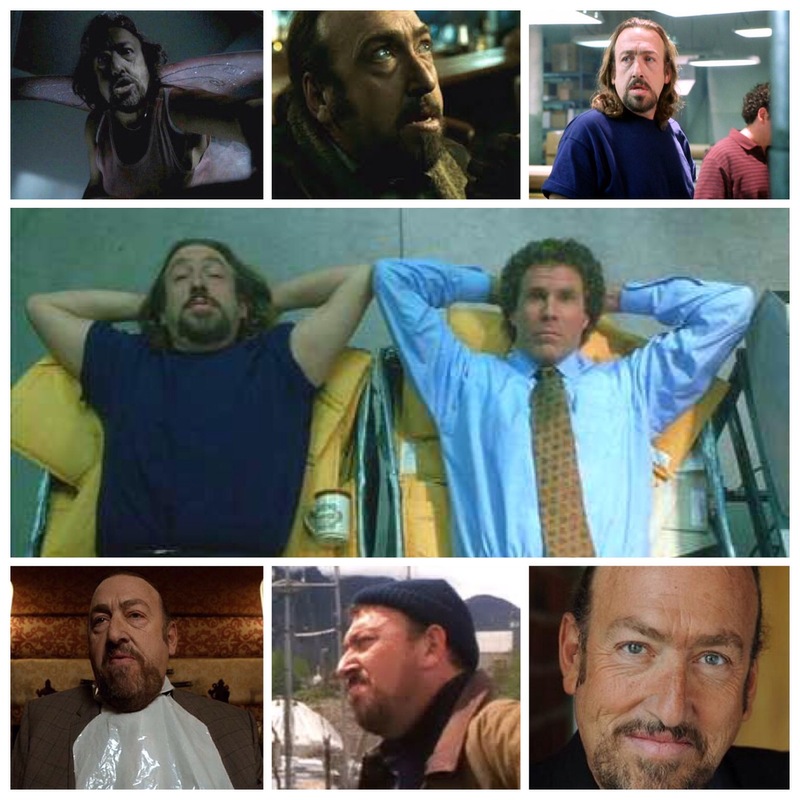 Mark has played countless distinct characters in film, including the mailroom guy who befriends Buddy in Elf, the thug who attacks Rorschach in Zach Snyder’s Watchmen, Moses Tripoli, the head of the North Dakota mob in FX’s Fargo, and more. He has also appeared in John Mctiernan’s The 13th Warrior, Reindeer Games, The Chronicles Of Riddick, Hot Rod, She’s The Man, 3000 Miles To Graceland, Crossfire Trail and more. Enjoy! Nate: When did you first know that you wanted to pursue a career in acting? Mark: My first play I performed in grade 7 at age 11. My school loved the bad boy character and suddenly I was popular. I was hooked from then on. Nate: Some actors/films/filmmakers who have inspired you in your own work? Mark: I always loved movies and television and my idea of the perfect actor is Daniel Day Lewis who I think is unrecognizable from role to role. That to me is true acting. Nate: Fargo: How was your experience with that show? Any stories from set? Mark: Fargo was perfect. I remember the incredibly talented Noah Hawley who wrote the script always on set polishing constantly. I was very proud that our episodes won three Emmys including best miniseries and best casting by Jackie Lind who is truly a force of nature. Nate: Watchmen: your experience working with Snyder, and on the film? Mark: Zach was the youngest and possibly one of the most gifted directors I have ever had the pleasure to work for. He was relaxed and made the set even more so. Nate: Some of your favourite roles you have played so far in your career? Mark: So many great projects I have been lucky enough to be in but working with Will Farrell in Elf had to be the best. I have been recognized all over the world from that one small part. Director Jon Favreau let us ad lib everything. Will is a genius!! Nate: You went to Langara College’s Studio 58. I myself went to their somewhat new subsidiary program called Film Arts. How do you find that theatre training has affected your work in film? Do you still do any stage work? Mark: I entered theater school at age 15 and it changed my life. To play Lenny in Of Mice and Men. Gave me my start as a pro and my first agent. I miss the stage very much especially Shakespeare which I enjoyed so much. Sadly these days stage is too infrequent and too much of a time commitment. Nate: The 13th Warrior: excellent, underrated film with a notoriously troubled production. How was your experience working on it? Mark: This was originally titled Eaters of the Dead. Difficult set. Schwarzenegger was originally booked but fought the studio about shooting in Canada. He was getting ready to run for governor. Best part was to meet and work with Omar Sharif. Such a film legend and an even nicer man. Mark: After acting for almost 50 years my dream is just to keep working. I love it all especially the variety. Nate: Any upcoming projects, cinematic or otherwise, that you are excited for and would like to talk about? Mark: I currently have 4 projects in the can including Lewis and Clark for HBO airing this Christmas but I am barred from any pics or descriptions until they air. July I will start another movie that looks like alot of fun but as usual I will be killed like I was on two shows last week. Just making a living dying. Nate: Thank you so much for your time, and the opportunity to chat. Best of luck in the future! Mark: Thanks again Nate. All the best. Your interest makes all the struggle and auditions I didn’t get worthwhile.